In 2003 was produced sailboat Voyage 440 called MAHANGA. She is available from base Palma de Mallorca in area of Palma De Mallorca in Balearics. You can take in up to 10 persons on the vessel MAHANGA. Arrangment of beds is 10. There are 4 cabins situated below yacht's deck. Use our search engine to find more search results by navigating to this section: Catamarans Palma De Mallorca. With 13.60 m of lenght overall and 7.65 m of width MAHANGA provides enough space for comfortable sailing. Voyage 440 MAHANGA is equipped with: Bed linen, Radio / cd player, refrigerator in cockpit, Outboard engine, Anchor electric windlass, Autopilot, Gps, Inverter 12v-220v, Coffee machine, Freezer, Toaster. . Security deposit is 2500.00 EUR. 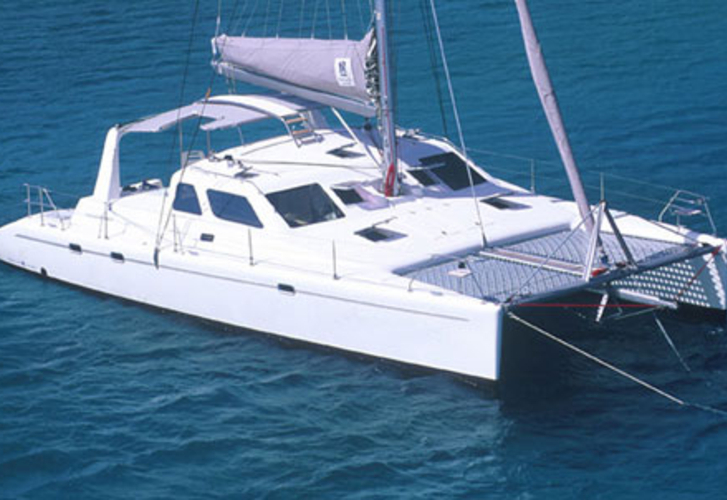 You can analyze other boats following this link: Catamarans Palma de Mallorca.